Wait, Does The White Ranger Appear In The 2017 'Power Rangers' Movie? The new reboot film is practically a shot-for-shot remake of Mighty Morphin Power Rangers, the beloved '90s TV show. All of the Power Rangers footage unveiled so far has made one thing very clear: the new reboot film is practically a shot-for-shot remake of Mighty Morphin Power Rangers, the beloved '90s TV show. Simply add in new actors and modern CGI effects, and it looks like the #PowerRangers of old. Except for one big difference: as fans have speculated for months, villainous Rita Repulsa (Elizabeth Banks) now appears to be the (former) Green Ranger — especially since Rita can be seen carrying the green Power Gem in her staff; Rita's green armor appears to share similarities with the Rangers' suits as well. Which raises a few questions: If she is the Green Ranger in the movie, will she later transform into the White Ranger, as original Green Ranger Tommy Oliver did on Mighty Morphin Power Rangers? If not, will a White Ranger still appear — and who'll it be under the helmet? 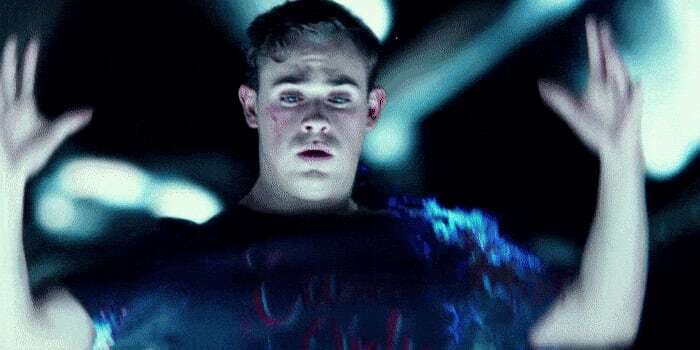 In Mighty Morphin Power Rangers, Tommy didn't start off as an ally to the Power Rangers. He was a teenager like his Ranger compatriots but he was manipulated by Rita Repulsa (and imbued with the power of the Green Ranger) to become her servant. Later, Tommy broke free of her control and joined the Power Rangers. Tommy's character arc as a Power Ranger doesn't end there. 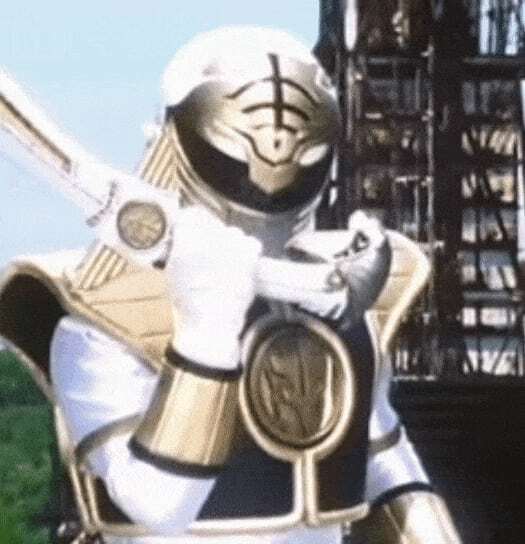 He steps away from being a Power Ranger for some time, but returns as a different Ranger: the White Ranger. 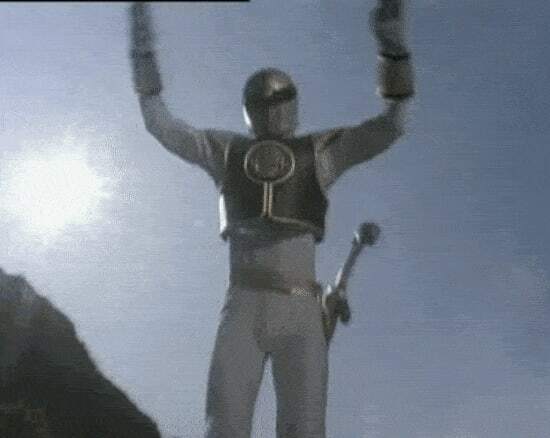 Aside from a few cosmetic alterations, Tommy's persona as the White Ranger wasn't much different than his persona as the Green Ranger. Could A White Ranger Be Coming To The New Movie? Props seen on the set of Power Rangers seem to indicate that a sixth Ranger will be introduced — or a seventh, if Rita is indeed the Green Ranger but not the White Ranger. In the leaked images, these props are color-coordinated to correspond with each of the Power Rangers, and one of them has been described as a white-silvery color. In the leaked images, these props are color-coordinated to correspond with each of the Power Rangers, and one of them has been described as a white-silvery color. A storyline in the Mighty Morphin Power Rangers comic book from Boom! Studios reintroduces the White Ranger as an apparent warlord from a parallel universe that he and Rita have conquered together. Regardless of this comic being set in the original continuity — not the reboot continuity — the timing is pretty interesting, especially since Boom! needs Saban Entertainment's permission for major decisions like this. It may be a coincidence that this comic is appearing so close to the movie's premiere...or it may be Saban Entertainment testing the waters of fan interest in the White Ranger and trying to generate hype. It may be Saban Entertainment testing the waters of fan interest in the White Ranger and trying to generate hype. So, we have a likely Green Ranger in the movie and apparent White Ranger props showing up on set. Since the film appears to adhere closely to the original show, it's very possible that Rita's Green Ranger will either become the White Ranger or at least lead to the creation of a White Ranger. If so, could it even be a young, recast Tommy Oliver? Either way, with a new White Ranger in the comic book that Saban is using to build hype for the movie, I'd bet my bottom dollar that we'll see the Green/White Ranger on the big screen when Power Rangers is released on March 24, 2017.